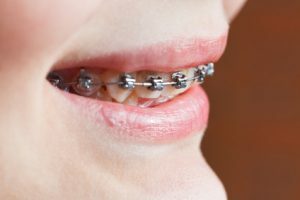 If the misalignment is serious, orthodontics may be needed, which involves placing braces onto your child’s teeth to align them into place. Orthodontic treatment lasts longer, taking up to a few years to complete. However, it is extremely effective and can give your child the smile they’ve always wanted. Our dental team will work with you and your child to ensure that they achieve their dream smile. 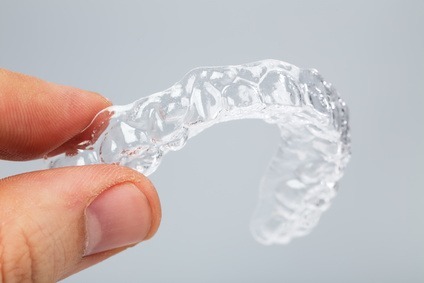 We also offer Invisalign invisible braces for adults who would like to achieve a straighter smile. To learn more about Invisalign and our cosmetic and family dentistry procedures, contact our practice at info@boissondental.ca to set up a consultation. At Boisson Dental Group, we are concerned not only with the health of your teeth, but whole body wellness. We know that problems with development of the jaws or issues with your airways can result in orthodontic problems as well as contribute to obstructive sleep apnea (OSA) and jaw joint issues (TMJ) which affect the health of your whole body. By monitoring how our young patients breathe and swallow we can catch problems early. If necessary, steps can be taken to change bad habits with exercises or appliances. By doing this, we can help to direct the growth of the jaws and face in favourable direction, with the hope of preventing the development of orthodontic problems. Facial Orthopedics involves the use of appliances to change the position of the bones of the face relative to one another to improve the function of the jaws and appearance of the face. In some instances, adult orthopedics can improve or eliminate TMJ dysfunction, some headache problems, or obstructive sleep apnea. Controlled Arch Orthodontics © is a patented system of orthodontic care that was developed by Dr. Steve Gallela and differs from standard straight wire orthodontics. Regular orthodontics usually involves the removal of teeth and realigning of the remaining teeth into the space made. Controlled Arch Orthodontics differs in that it creates space by making the dental arches larger to the patient’s genetic potential. This results in larger, fuller smiles and healthy bites and jaw joints. Obstructive Sleep Apnea (OSA) is a condition that can be life threatening. It has been linked to conditions such as heart disease, arthritis, and diabetes. OSA is often characterized by loud snoring or stopping breathing when you sleep which results in poor oxygen saturation in the blood. It is important to be tested if you suspect that you or someone you know might suffer from this condition. OSA can be treated with constant positive airway pressure (CPAP) but this often is not well tolerated. At Boisson Dental Group we can test you for OSA and we make oral appliances that treat snoring and OSA. By developing the jaws using the principals of Facial Orthopedics and Controlled Arch Orthodontics ©, we may be able to improve the symptoms of OSA and eliminate long term appliance use for OSA.